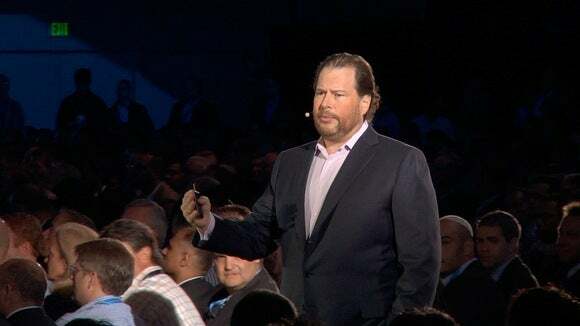 Customers of Salesforce.com who want their own dedicated infrastructure within the vendor’s cloud will now be able to get one through a partnership with Hewlett-Packard. The Salesforce Superpod will be based on HP’s Converged Infrastructure hardware and jointly developed and marketed by Salesforce.com and HP. The Superpods will be hosted in Salesforce.com’s data centers and cost customers extra money, but pricing details weren’t provided Monday. HP CEO Meg Whitman will discuss the offering when she joins Salesforce.com CEO Marc Benioff at the start of the company’s Dreamforce conference, which gets underway Tuesday in San Francisco. HP says it will be the first customer for the Superpod. Multitenancy is a common architecture for SaaS (software as a service) vendors, as it provides advantages over traditional hosting such as the ability to update and patch many customers at once. It wasn’t immediately clear Monday if the Superpod option will mean those customers can choose to take updates on a different schedule. The announcement is also a surprise on another level, given the high-profile pact Benioff made with Oracle CEO Larry Ellison in June. Under that deal, Salesforce.com committed to continue using Oracle software to build its own products for the long term, and also said it would use Oracle’s engineered systems such as Exadata. But Ellison’s visit may be off now that Benioff has cozied up so closely to HP, a company that sued Oracle after it announced it would stop porting its software to the Itanium chip architecture used in high-end HP servers. Ellison also hired former HP CEO Mark Hurd as co-president of Oracle after Hurd’s controversial departure from the company in 2010. An Oracle spokeswoman didn’t immediately respond to a request for comment on Monday.